When Russell Smrekar enrolled at Lincoln Junior College in 1974, the people of Lincoln, Illinois had no idea they were on a collision course with destiny. 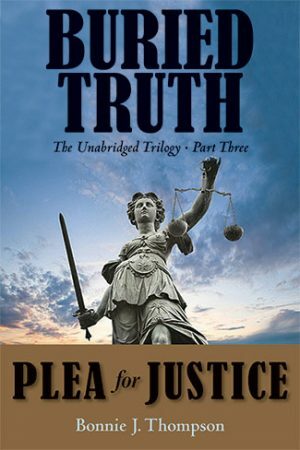 Process of Elimination is based on the true story of how an expelled college student began eliminating witnesses who were to testify against him in two minor theft cases. 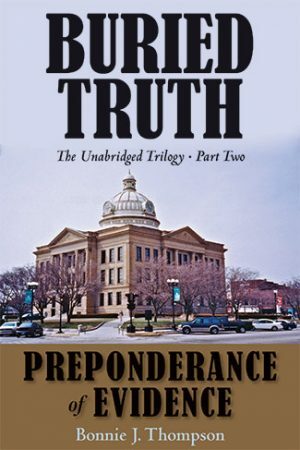 Smrekar, a cunning rebel from Joliet, Illinois, had a history of outwitting police and dodging the legal system. In 1976, he mystified Lincoln law enforcement and used the community for his killing ground. It appears Smrekar was responsible for four murders; however, two of the murders – the disappearances of Mike Mansfield and Ruth Martin, whose bodies have never been found – remain unsolved. 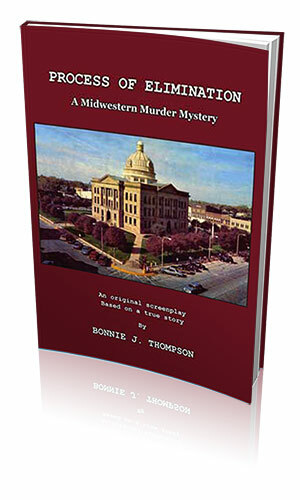 In 1976, the author, Bonnie J. Thompson, was a nineteen-year-old deputy circuit clerk in the Logan County Courthouse, and her father, Roger W. Thompson, was the State’s Attorney when Smrekar was prosecuted and convicted for the double homicide of Jay and Robin Fry. 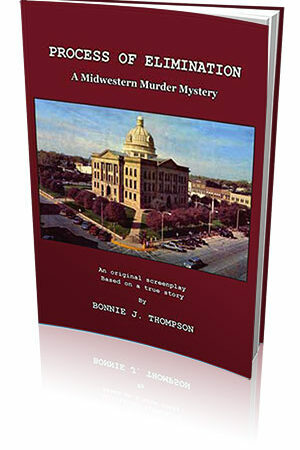 After her father’s premature death in May of 2001, Thompson began researching the 1976 murder case files within the Logan County Courthouse. 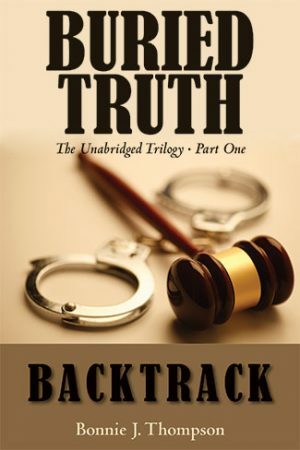 Here for the first time in nearly three decades, she presents the factual chronology of events and introduces new information and compelling evidence never revealed in the Ruth Martin case. “The investigations into the disappearances of Mansfield and Martin will never be dropped.” ~ April 1977, Roger W. Thompson, State’s Attorney. 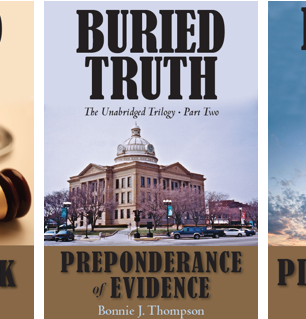 “In Process of Elimination, Bonnie Thompson has used her father’s bull-dog tenacity in digging out and presenting the facts in this highly unusual true story.” ~ John W. Foltz, former Assistant State’s Attorney of Logan County. 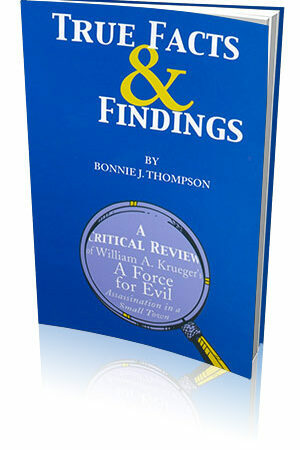 “Bonnie Thompson is a relentlessly persevering investigator, and she tells what she has uncovered in a fascinating tale.”~ Dr. Lawrence Farwell, forensic scientist, inventor, and founder of Brain Fingerprinting Laboratories, Inc.
“Through extensive new research, Bonnie Thompson has skillfully put into screenplay form a recount of mystery and murder occurring in her hometown in 1976.” ~ Erik Daarstad, Cinematographer for 1968 Oscar Winning Documentary – Short Subject, “Why Man Creates”.